Where the cattle graze and the acreage rolls into the Australian bush. Conveniently located on the edge of Wagga Wagga, NSW on the Sturt Highway. Relax at The Australian Homestead Motor Lodge. Your classic country escape with all the modern comforts. Right here in Riverina Country. Relax at the Australian Homestead Motor Lodge. View our newly renovated rooms, check our availability and book online below. Absorb the ambience of a rural Homestead in Wagga Wagga, New South Wales on the Sturt Highway. 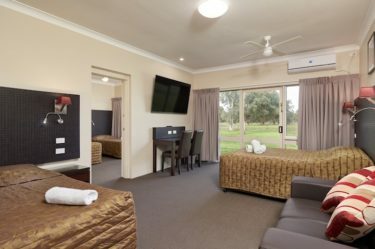 You’ll find The Australian Homestead Motor Lodge – a five minute drive to the centre of Wagga Wagga and to the Wagga Wagga Airport. The Homestead is ideal for an overnight road trip stopover, and longer stays to explore the Riverina region and the magnificent Murrumbidgee. All rooms are 100m away from the road so you can step off the highway and enjoy the peace and quiet of a classic Australian Homestead. Travel shouldn’t be complicated. You can have peace of mind with safe and convenient off street parking for coaches, trailers, caravans and trucks. Our newly refurbished 3.5 star rooms feature a TV, a microwave, a refrigerator and tea/coffee making facilities. 30 rooms with ensuite bathroom, shower, hairdryer and towels. Some rooms offer a spa bath. Pool or garden views available with some rooms. FREE Wi-Fi and off street parking for coaches. Our welcoming hospitality will make you feel right at home. We offer a delicious and convenient FREE light continental breakfast with all bookings. Enjoy a home cooked meal at The Rivergum Restaurant and Bar or self-cater with the outdoor BBQs. 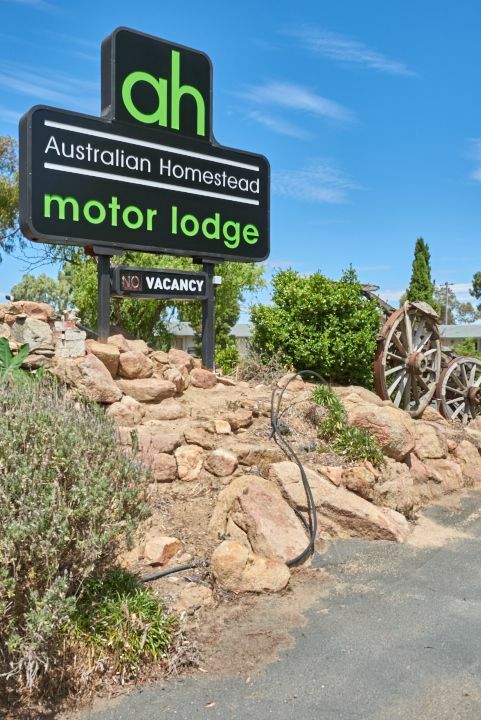 At the Australian Homestead Motor Lodge we pride ourselves on old-fashioned, friendly service to ensure your stay is comfortable and memorable. Enjoy high quality, affordable accommodation with spacious rooms to suit large groups and tours. 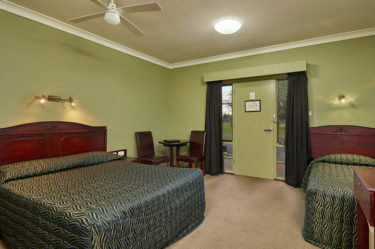 Need longer term accommodation in Wagga Wagga? Our Home Away From Home Package includes accommodation, breakfasts and dinners for five nights for a special price. Start your morning with a continental breakfast, and then after a busy day you can relax with a drink at the bar and enjoy a hearty home cooked meal. Our friendly hospitality will make you feel right at home.